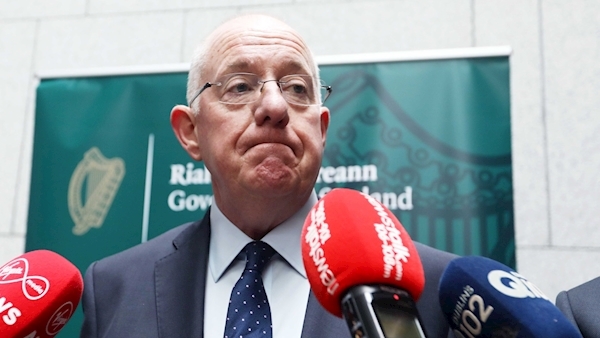 Justice Minister Charlie Flanagan has told middle-ranking gardaí that he needs to “trust” their representative body. In a reference to allegations engulfing the Association of Garda Sergeants and Inspectors at their annual conference in County Cavan, Mr Flanagan said he realises that the association is undergoing “some difficulties”. Claims that a senior member in the association was under garda investigation in relation to allegedly doing private contract work erupted at the weekend, before the conference began yesterday. Other allegations have also been made and these have been sent as a protected disclosure. The allegations, and their emergence in the media just before the conference, have raised deep divisions within the association. Two senior members of the AGSI have not attended the conference – an absence that has been attributed, at least in part, to the allegations. The national executive of the AGSI met for almost four hours last Sunday to discuss the matter and issued a statement saying the garda investigation should be let run its course. AGSI president, Cormac Moylan, said there are “differences” within all associations and that he is “disappointed” the two members were not able to attend. AGSI general secretary, John Jacob, said the person at the centre of allegations is “entitled to anonymity” and that, in the past, the association has “supported” people against whom allegations have been made. Responding to concerns regarding the allegations, Mr Moylan said that, on learning of the allegations, the association followed legal advice and suggested that the complainant make a protected disclosure. He said “everyone is innocent until proven guilty” and that due process should be allowed to take place.